"I'm just hoping to arrive alive and be able to find my underwear." 8 p.m. Mon., Oct. 21. 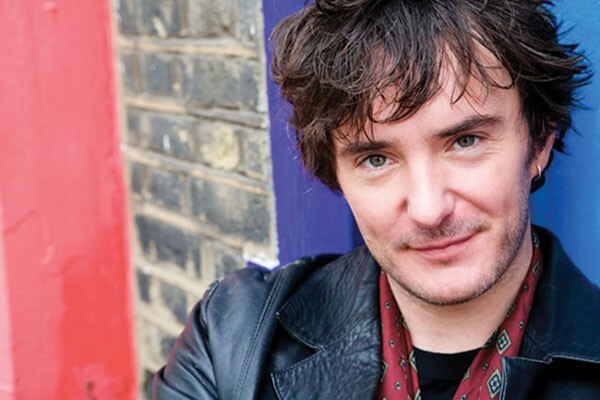 In the U.S., at least, Irish comedian Dylan Moran is a cult favorite, thanks to his award-winning U.K. TV series Black Books and a role in 2004's Shaun of the Dead. But standup comedy is the backbone of his career: Moran, 41, has toured internationally since the 1990s. The Times of London has called him "one of the most excitingly articulate standups around." Moran's "yeah, yeah" tour is his first to cross North America. An 11-city leg, which began with two sold-out Los Angeles shows, includes Pittsburgh. Moran spoke to CP by phone from his home in Edinburgh, Scotland, having just toured Eastern Europe. 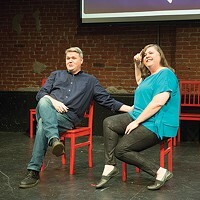 Asked why in Pittsburgh he was playing the Kelly-Strayhorn Theater, not known as a comedy venue, Moran disavowed knowledge: "I'm just hoping to arrive alive and be able to find my underwear. And the microphone." What was one country that wasn't what you expected? When I was going to Belgrade, all I really knew about the country is the recent Balkan war and one or two writers. I'm going in with all these assumptions and worries, really, about how it's going to go. And then I get there and I meet these lovely people, they're Serbian, Croatian, Bosnian, and they're all working together to try to get a live comedy scene going. And a lot of them are young. They don't want to be carrying the weight of history for what other people did. Two favorite beverages from your tour? I had honey schnapps, actually, in both Zagreb and Belgrade. That's pretty good. That's good for a cold. Maybe a little bit too easy to drink, actually. You have to bear in mind that I am on the road, so I have to watch it! 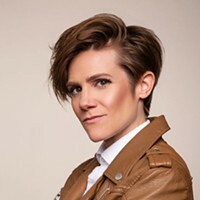 Three comedy albums or videos you could watch any time? I'd watch probably Richard Pryor, Live on the Sunset Strip or the other one he did in L.A. 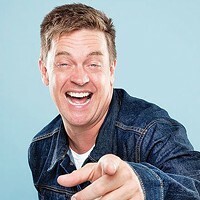 I'm a big fan of a Dutch comedian called Hans Teeuwen. Wonderful, wonderful comedian. And there's an American I saw for the first time this year. He's a wonderful, wonderful act, and seems like a very nice guy called Reggie Watts, who does really interesting stuff with his voice, and sampling, and he's got a great way about him.